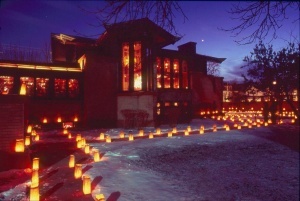 Volunteer Assistance is needed making up the Luminaria Bags and for setting the bags out and lighting them at the event. This is a one time event, no advance training needed. Extra volunteers are welcome so bring a friend, many hands make for lighter work. Join us for a day or a season. We are always looking for volunteers who want to learn more about The Dana-Thomas House and help us promote the preservation and restoration of the home and neighborhood. We are always excited to welcome new members as well as accept donations in many forms. Please see our Membership opportunities or feel free to visit our Donation page for more info. 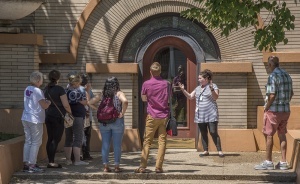 Each year The Dana-Thomas House has part-time non-paid opportunities for individuals of varied background and ages to learn from and contribute to the work of the home and its intern program.